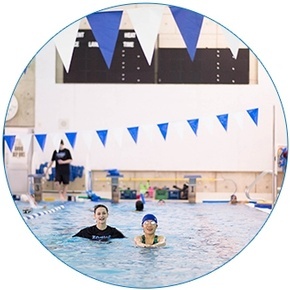 This program is designed for those adults who have no previous swimming experience and may be feeling nervous about beginning this adventure. 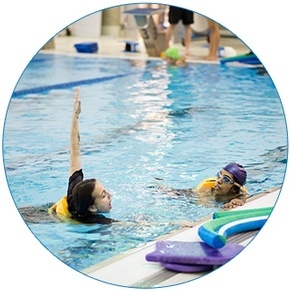 This program combines the physical principles of swimming with Ai Chi, an aquatic exercise program that focuses on relaxation techniques in the water. The program begins with the focus on relaxation through Ai Chi and as participants become comfortable we begin to incorporate learn-to-swim principles into our Ai Chi movements and slowly transition these into basic swim skills. Participants move at their own pace and all skills at this level will be performed with assistance. This class is taught in shallow water for the duration of the session. This program is designed for swimmers who are completely comfortable in shallow water and although may not have attempted any swim techniques, they are ready to put their face in and start swimming! Participants must be able to perform relaxed front and back skills with assistance. Swimmers in this level are ready to begin swimming independently and develop comfort in deep water. Swimmers will learn to perform basic front and back crawl skills and intermediate breathing techniques. Swimmers are introduced to treading water and deep water skills when they are ready. This program is designed for swimmers who are comfortable in deep water, can swim front and back crawl for a minimum of 15m each and are able to perform a 25m endurance swim. Swimmers will be introduced to breaststroke, eggbeater kick, front dives and interval training. Swimmers will set their own distance goals for each stroke and progressively improve their endurance swim distance. 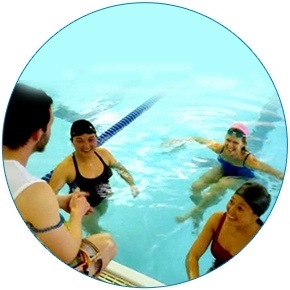 This program is designed to further develop strokes chosen by the swimmer in consultation with the instructor. 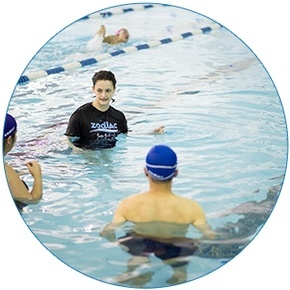 Participants must be competent swimmers that can swim a minimum of 100m without stopping and who are interested in improving their stroke techniques or swim fitness through training or are training for advanced lifesaving courses, i.e. Bronze Medallion. Swimmers and instructors will work together to develop a plan to help them to achieve their goals. Swimmers will be challenged through new drills and workouts throughout the program to increase swimming distances and proficiency.